Think fast: How many of your friends’ phone numbers do you know off the top of you head? One? Two? Three if you count your mom’s landline number that hasn’t changed since you left home? You’re not alone. Studies have shown that, now that we have the means to store information on the Internet and on our devices, our brains are slowly being trained to retrieve information in a different way. Instead of pulling from the information it has stored in itself, it simply remembers how to access the information that’s stored elsewhere. In other words, nobody remembers phone numbers anymore. We just remember how to access that information when we need it. But inevitably, there will come a time when you can’t just open up your contacts and tap a name. So to help you start memorizing them before it’s too late, Know Your Numbers presents you with a fun little game that helps you commit important numbers to memory — moving them from cloud storage to local storage, in a sense. Common wisdom says that drivers should check their tire pressure at least once a month, but how many of us actually do? 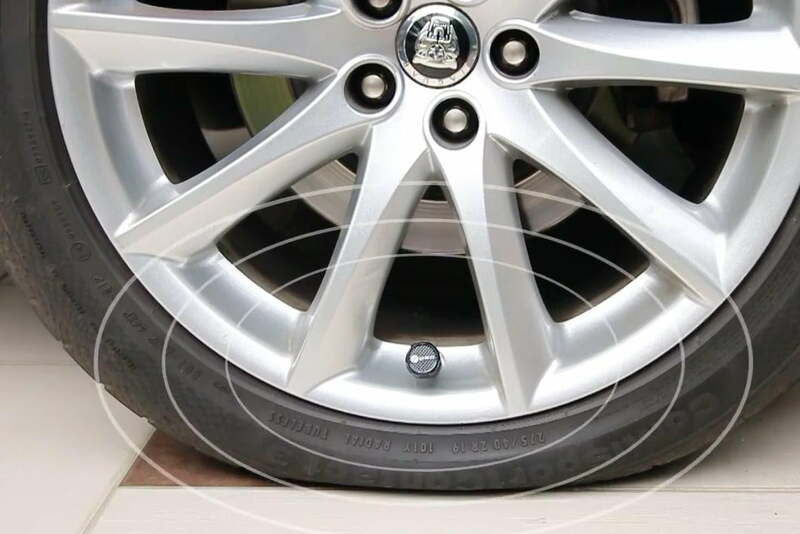 Most people are well aware that low-pressure tires make cars more dangerous and considerably less efficient, but for some reason the risk doesn’t seem to be worth the trouble of bending over and inspecting all four tires. To help remedy this problem and make the road a safer place for everyone, a small team of inventors from Malaysia have invented FOBO Tire: a clever valve stem cap that pulls double duty as a wireless tire-pressure monitoring system. As you drive and your tires slowly depressurize over time, the caps will send a message to your phone via Bluetooth LE to let you know your tire is low – eliminating the need to dig your pressure gauge out of the glovebox and hunker down around each of your wheels. 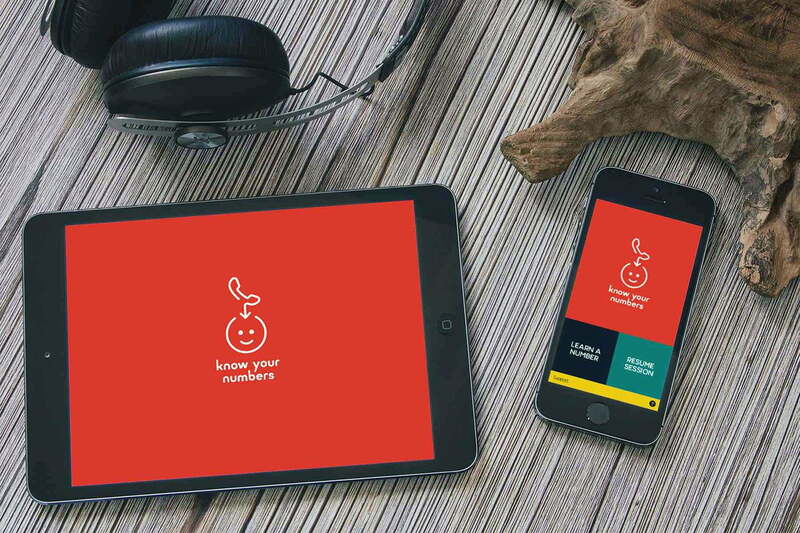 The accompanying app makes it easy to check your pressure whenever you want. You might not realize it, but your car has a lot of data whipping around its innards. Most of this data, however, is hidden from the driver, which forces tinkerers and automotive enthusiasts to install secondary sensors to receive this data that their cars produce. 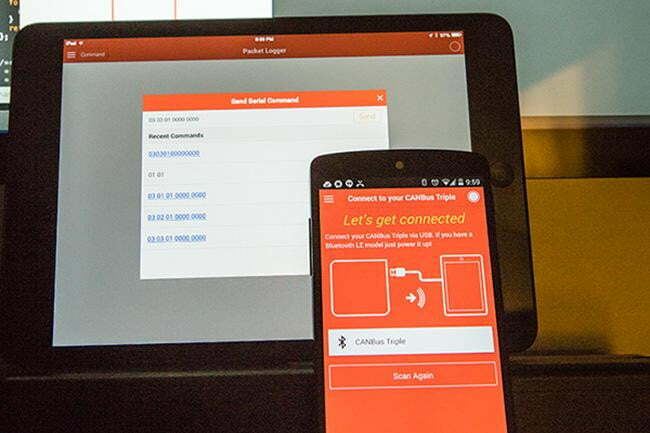 CANBus Triple aims to change that, and make tapping into your car’s data easier than ever before. Think of it like an Arduino microcontroller for your car. It essentially gives you an easy way to interact with CAN (Controller Area Network) Bus, a message-based protocol found in most modern automobiles. With the proper programming, it allows allows you to apply all manner of nifty tweaks and customizations to your car. Want to roll your windows down with a text message? Make your heated seats come on automatically when the temperature drops below a certain point? Just want to monitor your tire pressure? It’s all possible with CANBus Triple. Taking notes the old-fashioned way, with a pen and paper, has been proven to be more effective for committing things to memory compared to typing them out on a keyboard. There’s something about the process that establishes stronger neural pathways so you can absorb and recall information more effectively. The only problem, however, is that if you take a lot of notes by hand, it can often be difficult to find the relevant sections when it comes time to study — not to mention it’s not nearly as easy to draw diagrams, graphs, and random doodles on a computer. But not to worry, Equil 2 provides a solution to this problem. 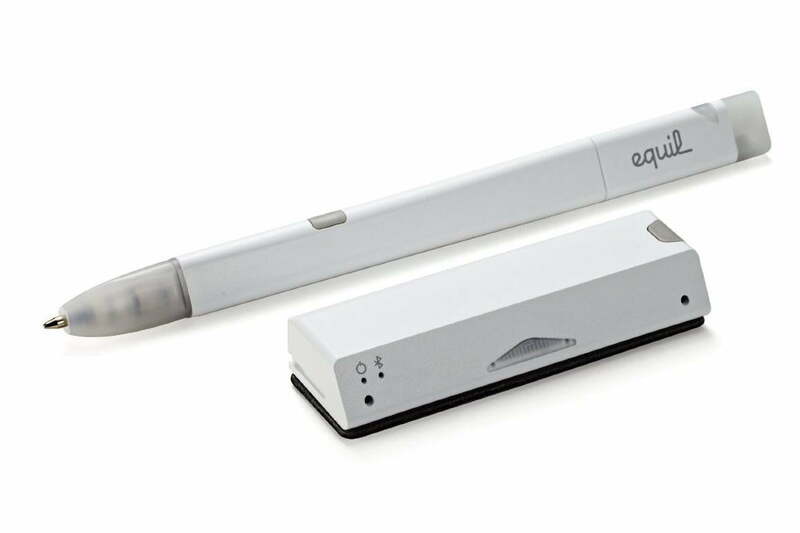 With the help of embedded sensors, it logs and digitizes every stroke of your pen, and beams it instantly to your computer or tablet, thereby allowing you store and access it later on in digital form. And that’s just the beginning — check out the device’s Kickstarter page to get the full scoop. So this one isn’t necessarily a product that you can buy, but it’s pretty damn interesting, and could very well change the lives of deaf people around the world if it’s funded. Here’s what it is, and how it will supposedly work. This vest, which doesn’t really have a snappy name just yet, is built around the concept of sensory substitution — that is, the idea of taking one sense (in this case, hearing) and feeding it into another sense (like touch, for example). 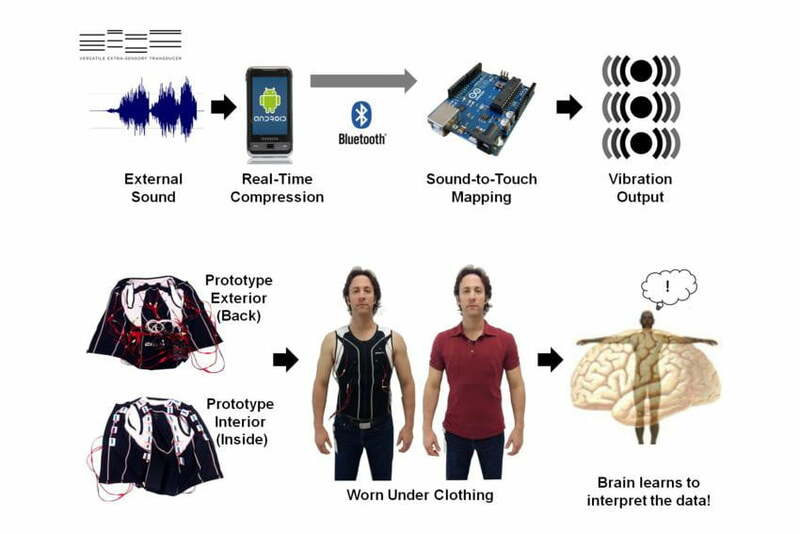 The vest is designed to collect all incoming audio much like a working ear would, and then translate those sounds into specific vibrations the wearer can feel on the skin of their lower back. In theory, after a wearing the vest for a few days/weeks, the wearer’s brain will acclimate to this new sensory input and, in effect, learn how to process sound by feeling it instead of hearing it. Now here’s the kicker — when it’s all said and done, the vest’s creators hope to sell it for under $2,000 — drastically less than the cost of a cochlear implant, and also without any invasive surgery. Let’s hope it works!